Looking for an outdoor venue for your big day? Make your event or wedding one that everyone will remember. Call to schedule today! Our venue is beautifully nestled in the rolling hills of Northern Kentucky. The landscaping and the indoor/outdoor event areas create a classy yet rustic appeal for any planned event by offering top-notch hall rental services. 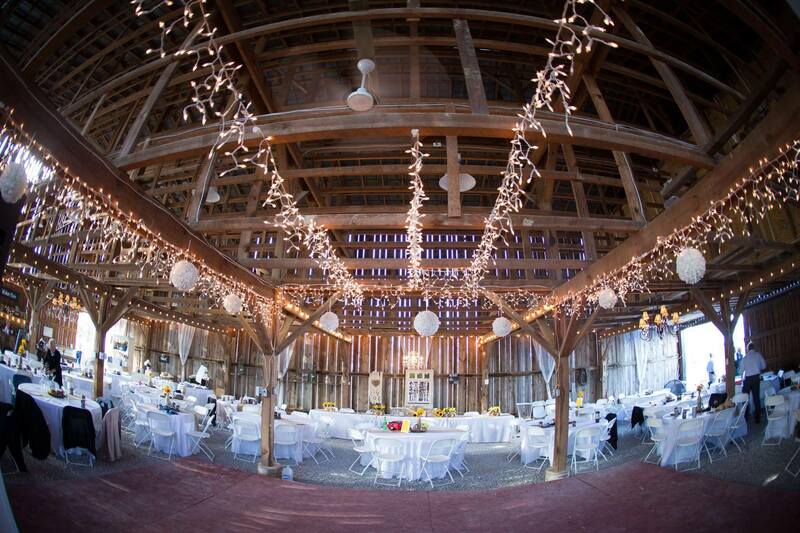 Stone House Farms Wedding Venue is located in northern Pendleton County. 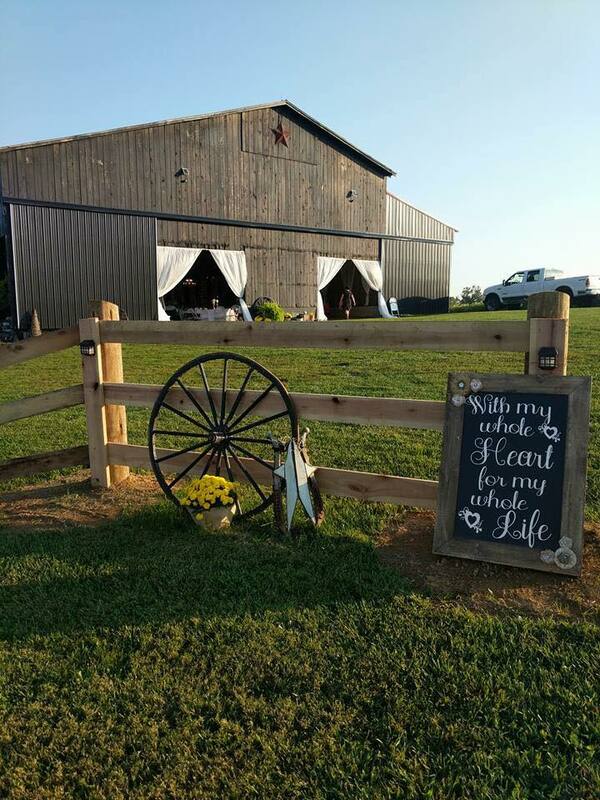 The rustic barn has been coverted to a party venue, with an outside wedding deck overlooking the beautiful rolling hills. Large bridal room, dance floor, decorations, tables & chairs for seating 250 guests. 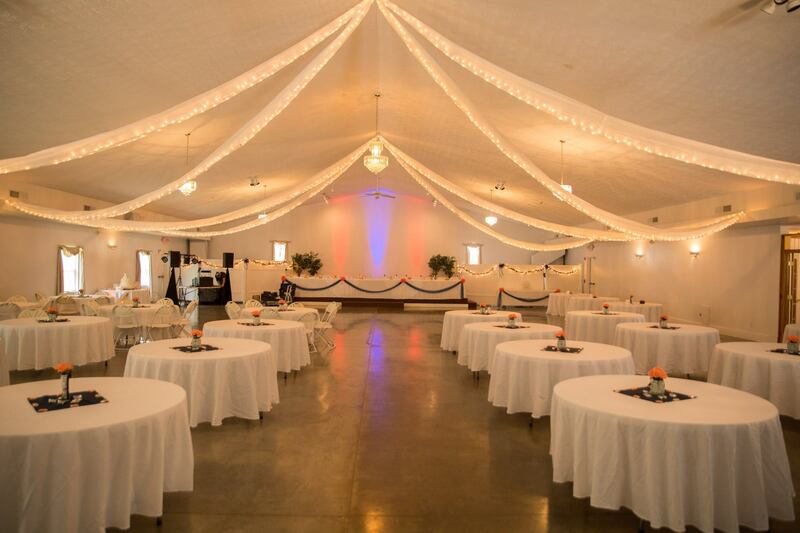 Contact us if you are interested in renting for a memorable wedding, birthday, reunion,or business meeting.